Are you constantly finding pests in your home? Do you find yourself spraying the perimeter of your home every month? Do you check your slippers every night and shoes every morning for signs of scorpions or other pests? It’s time to end the cycle. 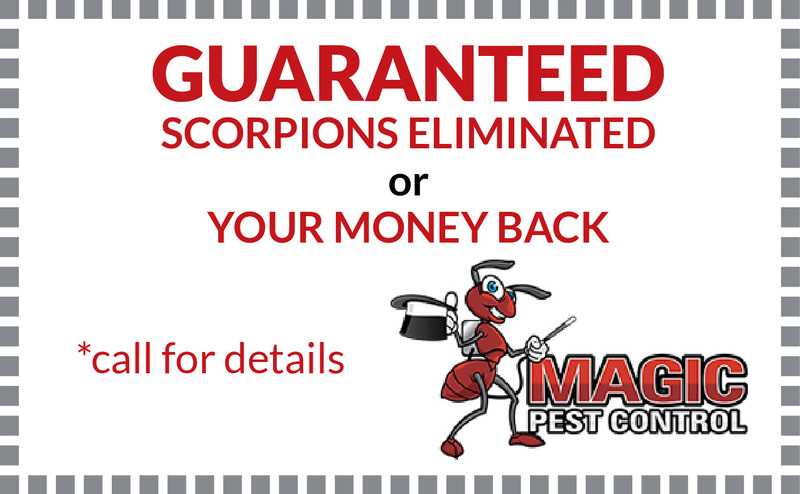 Magic Pest Control has proudly served Maricopa and Pinal Counties for over 31 years…protecting you, your home, and your family from annoying, sometimes painful, and often dangerous Arizona pests. 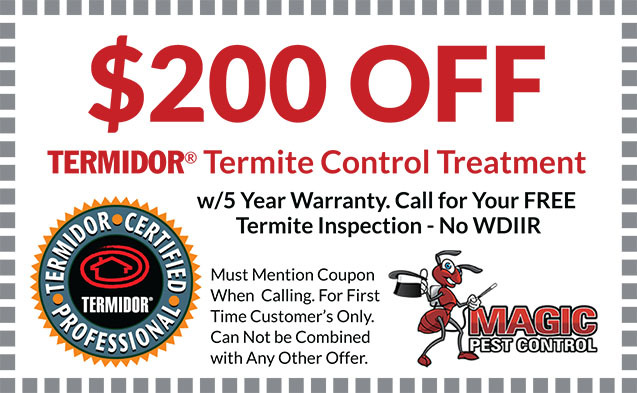 We are locally owned, home-based right here in Gilbert, Arizona, and family owned, working with our brothers and sisters in family and community to offer the finest termite and pest control services. As a homeowner, scorpions, termites, bed bugs, and many other pests are more than simply a nuisance; they are dangerous and can wreak havoc on your home. You do what you can to keep the pests out, but somehow they always find their way into your home. When you call our pest control experts, whether in Gilbert, Phoenix, or anywhere in between, our trained pest control professionals (who have earned us an A+ rating from the Better Business Bureau) will fully diagnose your home structure, determine the source of the problem, and eliminate the unwanted intruders. Business owner? Multi-home property owner? Our pest control professionals have been trained to diagnose any building structure to eliminate pests. 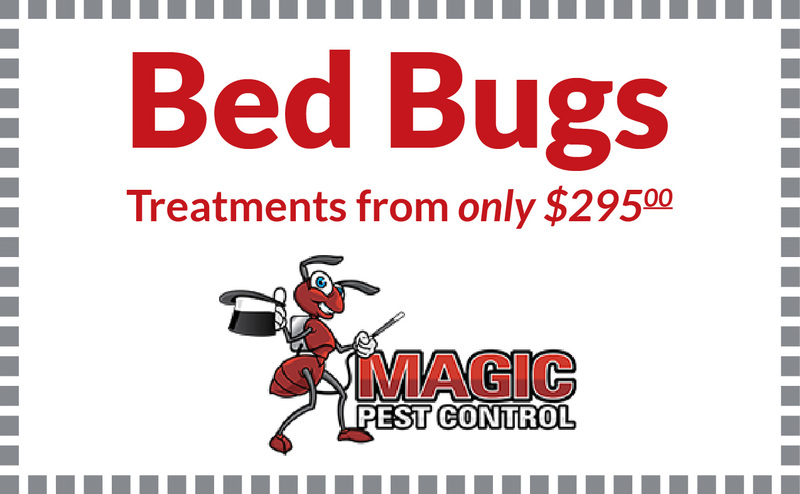 The Arizona Better Business Bureau currently rates Magic Pest Control with an A+ and Home Advisor gives us a 5 Star rating from over 360 positive reviews! AngiesList has over 330 reviews with an A rating. 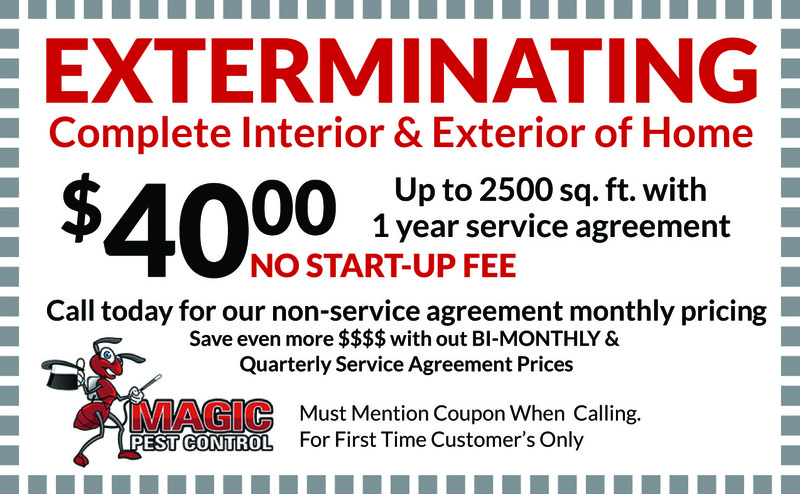 Everything that we do here at Magic Pest Control is insured with a guarantee. Each and every customer of ours deserves the best; a trustworthy and affordable pest control service on-call at all times and that’s exactly what we provide.